We are so grateful for everyone who came out last night to help us celebrate five years of being in rescue. 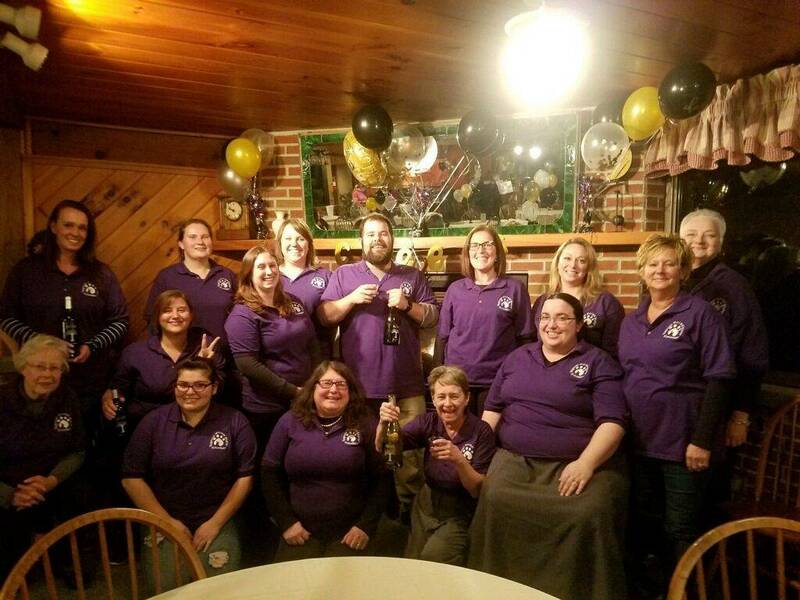 We raised our glass to all of those who have helped our shelter become what it is today, and we toasted to the coming success of the next five years, as well as raising $1,600 for the care of our dogs. Thank you to Harold’s for making our celebrations last night possible. We are overjoyed to be making a positive impact in our community and humbled by everybody’s support to help Regional make it happen. In this season of celebration, we rejoice in how our community has always stepped up and supported the animals that needed it most exactly when they needed it. That’s why this year, for our #GivingTuesday campaign, all donations made to the campaign will be going into Annie’s Fund, which helps critically ill animals get the veterinary assistance that they need. Giving Tuesday is part of a national celebration of generosity that takes place annually on the fourth Tuesday of November. Annie’s Fund was started for a sweet dog named Annie, who came into the shelter in 2013 after being left in a ditch to die by her owners. Despite our attempts, Annie was in such an advanced state of organ failure that there was nothing that we could do for her but to ease her pain and suffering while making sure she knew what love and compassion was. One of our community members, who wishes to remain anonymous, asked that the donation that they gave towards Annie’s medical bills start a fund that would help any animal that came in to the shelter in a condition like Annie’s… and Annie’s fund was born. In the years since that heartbreaking day, Annie’s Fund has helped many critically ill animals within Regional’s walls to get the care that they deserved, and for that we are very, very grateful. We look forward to sharing their stories with you in the coming days. Thank you from our grateful volunteers! What a way to turn 6! Thank you!